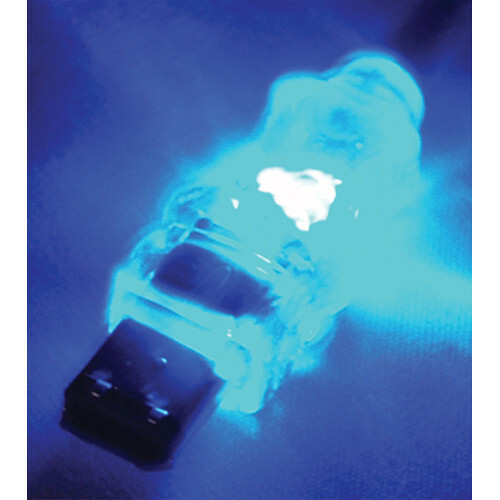 The 10' FireWire/i.Link 6-Pin Translucent Cable with Blue LEDs from QVS connects any computer with a 6-pin port to any FireWire device with a 6-pin port, such as printers, scanners, and storage peripherals. Built-in blue LEDs illuminate when connected. Furthermore, the LEDs let you know if the FireWire port is working properly, color-code your device, and help locate the cable in dark areas. This premium lighted cable has a silver braid shielding with translucent jacket. It deliver data transfer rates of up to 400 Mb/s, is IEEE1394a compliant, and compatible with all i.Link devices. Box Dimensions (LxWxH) 6.2 x 3.5 x 1.3"